It's Just Mobolaji | Music & Entertainment: It's a celebrity Simpsons Family Affair.. It's a celebrity Simpsons Family Affair.. Both Rihanna "Sideshow Bob" and Nicki "Marge Simpson" Minaj stepped out on the scene looking like part of the cast of the Simpsons - human figures of course. 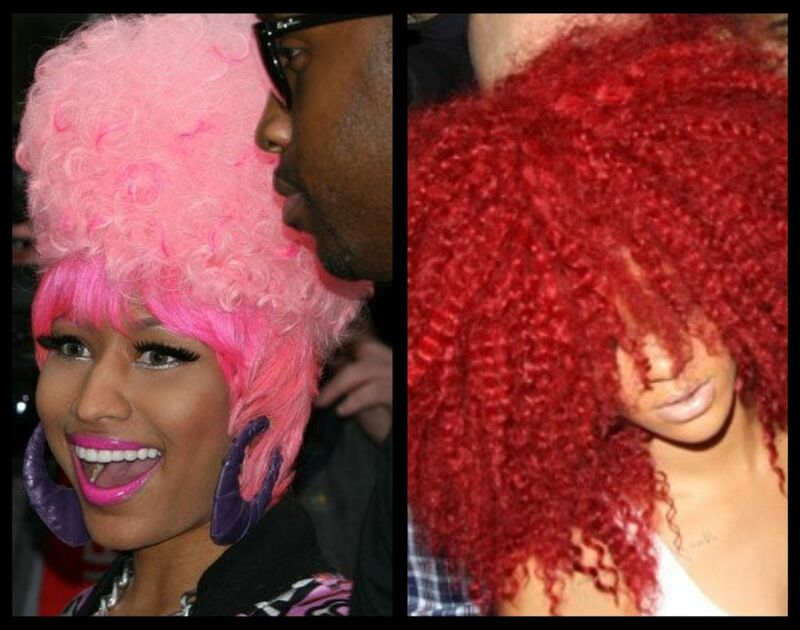 Their outrageous hair drew a lot of attention as Rihanna left Las Palmas Nightclub in Hollywood and Nicki Minaj embraced her London fans outside of her extremely posh Dorchester Hotel. I really wonder what's next for the pair. The video to Nicki's song "Fly" ft. Rihanna is out soon. STAY TUNED!